GIANTS OF STEAM: Are at the Bluebell Railway today, Friday to Sunday. Rimetable and details can be found at https://www.bluebell-railway .com/whats_on/autumn- steam-gala/. Visiting locomotives include Gresley A4 Pacific class No. 60009 Union of South Africa (courtesy of the Cameron Trust) and LNER Thompson class B1 No. 61306 ‘Mayflower’ (courtesy of David Buck). The iconic, streamlined locomotive, No. 60009 used to work on the East Coast main line and is sadly due to retire early in 2019. This is probably one of the last opportunities to see her under steam in the South East. There will be a special intensive timetable operating over the weekend, so there will be lots of opportunities to travel behind these magnificent Giants and to watch them in action. MUM AND TODDLER GROUP: At St Peter’s Church on Chailey Green, meet every Friday from 9.30am. This is free of charge and coffee, tea and biscuits will be available. If you or anyone you know would be interested in coming along please contact the Parish Office on 01825 722286 for more details. CHAILEY REPAIR CAFÉ: Will be tomorrow, Saturday, from 10am to 1pm, and visitors will include our MP Maria Caulfield. Repairs to date have included a garden parasol to an antique evening handbag. Cycle repairs are a speciality, as are electrical appliances such as mixers, hoovers, blenders, radio and record players. Everyone is welcome to take along broken items, from home, whilst waiting for your repair you can enjoy a cup of tea or coffee and delicious cake. Additional volunteers would be most welcome, so if you are able to offer electrical, bicycle, furniture or any handiwork or craft repair skills please email Bryan McAlley at brymac@btinternet.com. FIND OUT MORE DAY: Takes place on Sunday at 10.30am at Sheffield Park Station, and ends around 4.30pm. You are invited to attend to find out about what volunteering at the Bluebell Railway entails. The day will include a tour behind the scenes and for more information email Volunteer Recruitment Leader David Chappell at Volunteering@bluebell-railway.co.uk or call 01825 720800. PARISH COUNCIL: All Chailey residents are invited to attend the meeting of the parish council at 7.30pm on Tuesday at the Reading Room, Chailey Green. The council will be considering and making decisions on a wish to range of matters relevant to Chailey and its residents. Members of the public will have an opportunity to speak on any issue they raise or draw to the council’s attention. The full agenda can be found on the council’s website at chailey.org. They look forward to seeing you. LUNCH CLUB: Is at St Peter’s Church, on Chailey Green on Thursday. Just go along and enjoy a delicious meal at 12.30pm, the food is freshly prepared and home-cooked with a main course, choice of puddings and tea/coffee all for £5 per person. There is easy access and disabled toilet facilities. If you require transport or further information please contact stpeterschurch12@hotmail.co.uk or call 01825 722286. STEAMWORKS: Is the Bluebell Railway’s new innovative, interactive experience which opens on Saturday October 20 at Sheffield Park station. To celebrate the opening of SteamWorks, a special Family Festival is being held over the weekend of October 20 and 21. In addition to SteamWorks, Blast Science will be putting on their Family Forces science show, with interactive live experiments and lots of comedy, Weald Technology will offer hands-on activities. Also the Cultural Carriage will be full of fun experiments, music making, book readings and objects illustrating the science and mechanics of steam. For more details visit http://www.bluebell-railway.co.uk/. AGM: Each of the horticultural society’s shows require a cooperative effort to make it a success and the committee would welcome new members to assist with this. If you would like to join the Society or find out more do go along for cheese and wine at their AGM, in the Reading Room, on Thursday at 8pm. For more details call Peter Estcourt on 07803 179708 or email pge44@icloud.com. PLANNING COMMITTEE: All Chailey residents are invited to attend the meeting of the Parish Council’s Planning Committee at 7.30 pm on Tuesday November 6 at the Reading Room, Chailey Green. The committee will be considering current planning applications and the council’s response to them. Members of the public will have an opportunity to speak about any planning or related matter. The full agenda can be found on the Council’s website at chailey.org. They look forward to seeing you. 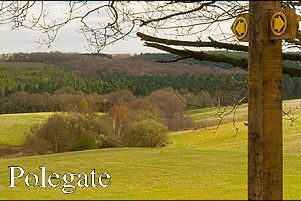 CHAILEY WI: Meet on Tuesday November 6, at the village hall, at 7.45pm for a talk on Ashdown Forest Conservation by Steve Alton. Do go along as this talk will be most interesting. There is a nominal charge of £3 which includes homemade refreshments. For more information call Margaret Smith on 01825 723519. BONFIRE SOCIETY: Celebration on Saturday November 10 will start with a procession from Chailey School. If you as a family or organisation would like to enter a float, a walking or vehicular one, please contact Diane on 01273 401900 or email secretary@chaileybonfire.co.uk. Also, if you are able to help the Society marshal the evening or with collection buckets please get in touch via the Society’s Facebook page or contact Diane. CHRISTMAS PARTY: Senior Citizens Christmas Party The Chailey Bonfire Society Christmas Party is being held on Saturday December 1 at the village hall from 12.30pm to 5pm. This is always a very happy event, with a delicious festive meal and entertainment. Transport is also provided. I know some think they are not senior enough to go to this party but thinking this means missing out on a truly special afternoon hosted by the Bonfire Society. If you or anyone you know would like to attend or would like more information please let Jane Stent know on 01273 400632 or jane.stent@btinternet.com.